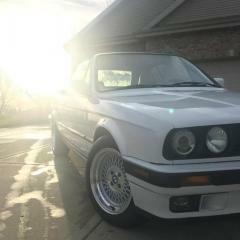 I'm new to the Bimmer forums and figured a more local one would be the way to go! I got my E30 vert at the beginning of summer and have been working on it since! It was in pretty rough shape. I've had it driveable for the last month or so and have been enjoying it on nice days! Great for hitting up the local breweries and stuff. Looking forward to becoming part of the community! welcome. 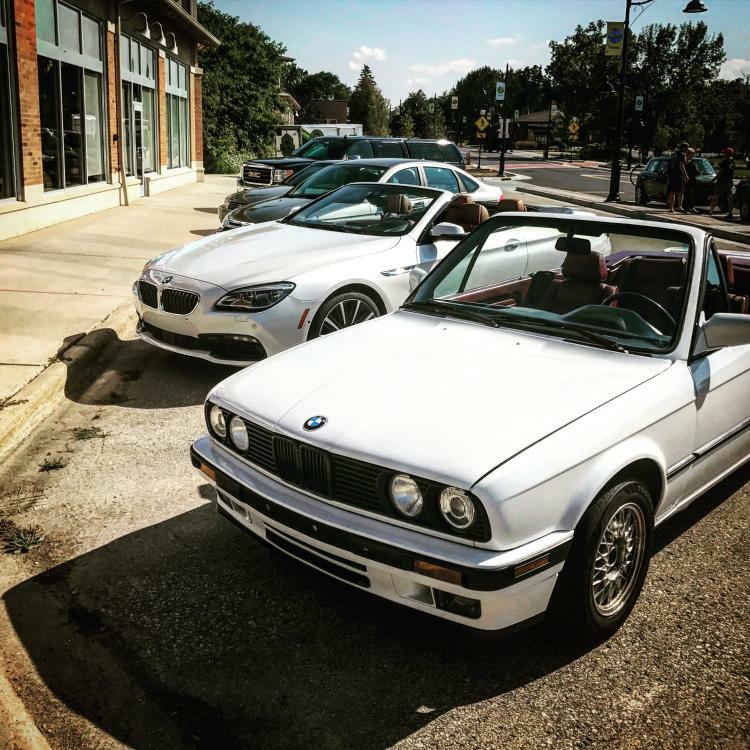 we like white e30s here, you'll fit right in. some people even are going to drool over your cardinal interior. best leave a towel on the seat to soak it up. Welcome! Clean vert! What part of the state are you checking breweries out? Welcome! I love the mini cooper! 2nd, what post of the state are you residing in? Checking out breweries all around Madison and the surrounding area. My picture is from the Hophaus in Verona, WI. Definitely recommend! Beer was pretty tasty! I haven't ventured too far away. After a new rack and pinion/tie rods I took her in for an alignment and apparently my rear tires are from 1991. Need to hunt down some 15's and get new tires before any long trips. More white e30's! Its probably the best color, not that I'm biased or anything. Sweet. I'm from Madison as well. Make sure to check out the C&C group that meets at Barriques in Fitchburg every Sunday (except when Lake Mills C&c goes on). They meet around 9am and it's a great group of local car guys. I'll be there pretty regularly now, would be great to meet up with you! YoungCR! Which Barriques? That sounds like a blast! I have been looking for a good meetup/club in Madison since I got my car. I ended up joining Madbrits just to get into a local club. I wonder if there would be a big enough group to start a German/Euro car club in the area to set up cruises/shows/meetups. I am definitely going to try to be at the Devil's Drive! Welcome! I am also in the Madison area. I am on the eastside in Cottage Grove / Sun Prairie depending on the time of day. I will see you at the Devils Drive! The Barriques on Mckee road. Everybody parks on the left along the pond. This Sunday is Lake Mills C&C though so I'll be there! A few of us on the forum regularly attend that as well and chit chat all morning. 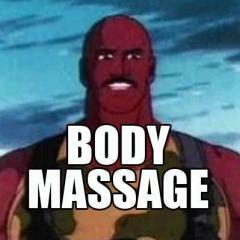 Hey JDesign! looking forward to checking out that E30! Love the tan top! Awe man I'm not sure I can make it this weekend (Inlaws in town). I will definitely be at Barriques one of these weekends! Thanks man!! I look forward to meeting some local enthusiasts and putting names to faces err something like that! You should look into getting a Cardinal top for yours! OOOOH Damn! That thing looks nice!